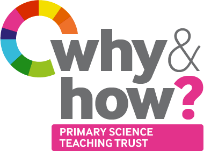 Over three days, we are offering a varied and carefully chosen programme of the very best in professional development for primary science, delivered by experts. Our programme planning has been responsive to the key challenges that teachers are facing, and addresses recent and relevant issues in primary science education. We know that teachers trust and value professional development that is delivered by other practising teachers. Our Primary Science Teacher College includes some of the best primary science teachers in the world, and we are fortunate that they are contributing to the programme. High quality contributions to the programme also come from our academic collaborators and strategic partners as well as other world class experts in the field. Organised around a range of themes, our programme enables every delegate to select sessions particular to their areas of interest and curriculum needs.